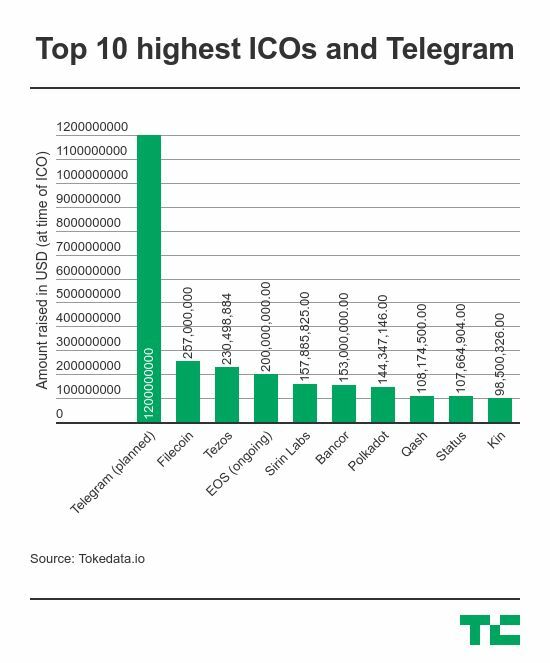 From the documents, it is clear that Telegram isn’t content with sitting on a platform like Ethereum for its token sale and services, as most ICOs are. Instead, it wants to create a platform of its own to rival Ethereum for hosting a new wave of decentralized services and internet experiences tipped to emerge thanks to the blockchain. Telegram is best known for a messaging app, which the company claims in the documents is used for community communication in over 60 percent of ICO projects, but its own ICO is more extensive than monetizing that chat service. Putting these components together could allow Telegram to be the base for a new range of decentralized apps and services based on the blockchain. It could turn Telegram from a messaging app into a platform that hosts internet-based content which could, in theory, operate micro-paywalls that let users unlock news or subscriptions for small amounts of crypto payment, while there’s also the potential to become a major payment hub. TON will provide the backbone for new kinds of internet services while also allowing existing social networks and messaging apps to join in, too. Blockchain developers who spoke to TechCrunch were underwhelmed by the lack of new technology in the whitepaper, claiming that it mostly uses theories from existing projects rather than pushing the envelope. The question — like all ICOs — is whether the theory can become reality. Certainly on the tech-side, Telegram’s processes and protocols remain in development. The product roadmap reflects that and the big launches won’t happen until later this year (the Telegram wallet) and early 2019, when the TON-based economy goes live, which means there are no major clues as to when the public component of the token sale opens. Disclosure: The author owns small amounts of cryptocurrency including ETH.